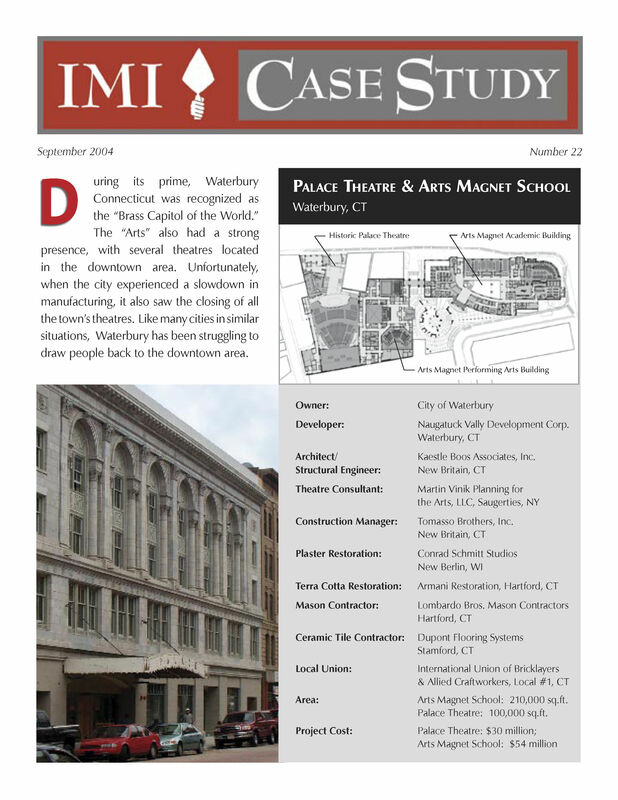 During its prime, Waterbury Connecticut was recognized as the “Brass Capitol of the World.” The “Arts” also had a strong presence, with several theatres located in the downtown area. Unfortunately, when the city experienced a slowdown in manufacturing, it also saw the closing of all the town’s theatres. Like many cities in similar situations, Waterbury has been struggling to draw people back to the downtown area.